The growing pace of technical development has made it increasingly difficult to manage all aspects of life impeccably. Without a proper system, one is bound to be scattered and disorganized, missing out on important events and opportunities. This is why more and more organizational apps are being created for educational, social and economical purposes. However, as the need to be socially connected has increased with technical development, so have the number of social media apps. Those who continuously have to balance social media, work, and family know how confusing it becomes to manage an array of mobile apps while filtering unnecessary advertisements and information. This makes it tedious to post, like and comment simultaneously on multiple social media apps. Opening up each app individually itself requires more time and effort than most can spare. Be easily used by the less tech savvy, saving time. Sort all social media posts according to phone contacts. Post on multiple social media platforms simultaneously. While all this may seem impossible, one app, Simplifi Me provides all these features for free! Simplifi Me is an Android App available on Google Playstore, that helps you manage multiple social media accounts by posting and tweeting simultaneously on Facebook and Twitter. You no longer have to suffer the hassle of worrying about keeping your loved ones updated with important life events or forget to congratulate your boss on the new milestone your company just passed. It is user friendly due to its clean and simple user interface, so if you are a senior citizen or simply dislike having to worry about too many settings, Simplifi Me will not let you down. Moreover, it is different from most other apps of this type as it “Unlike other “all in one” social media apps is NOT just links to various social media platforms.”, according to the developer. 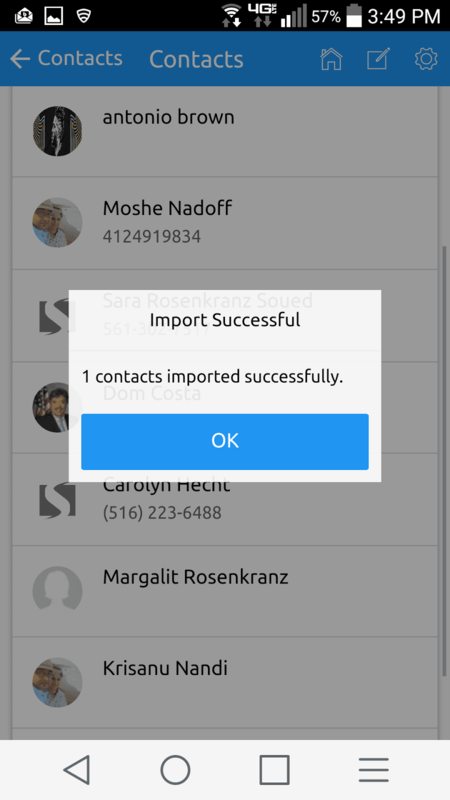 The App allows you to import contacts from social media, phone or add them manually. This makes the life of the user much simpler as you can be updated with the activities of your closest friends and family without having to surf through irrelevant videos and news. This also helps you keep focused and avoid wasting time on various social media, a pro for the busy common man of today. How to use Simplifi Me? The developers have made it very easy for use by introducing an explanatory video on their website for users. In this video they walk you through the simple process of logging in, promising that the app never saves or shares your personal login information. They also show you how to import your contacts from Facebook, Twitter and your phone. To my eyes, this app is the perfect opportunity to be availed by all. Being a student, I realise how demanding life is becoming day by day. It is difficult to manage college assignments and family while balancing your social life at the same time. Often, we waste precious hours going through our feeds and getting distracted after we get back home from college. All of us wish to maximise the use of our times and this app is just perfect for that. You will never forget to tweet on Twitter because your friends on Facebook have been taking up all your time. 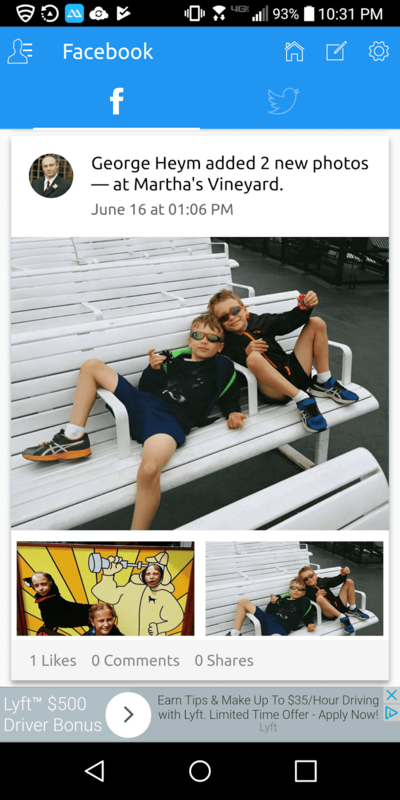 Moreover, if you are someone who wants to really experience the social media hype but have never gotten around to it, like the developer’s mother-in-law, because it is too complicated, then this app is ideal for you. 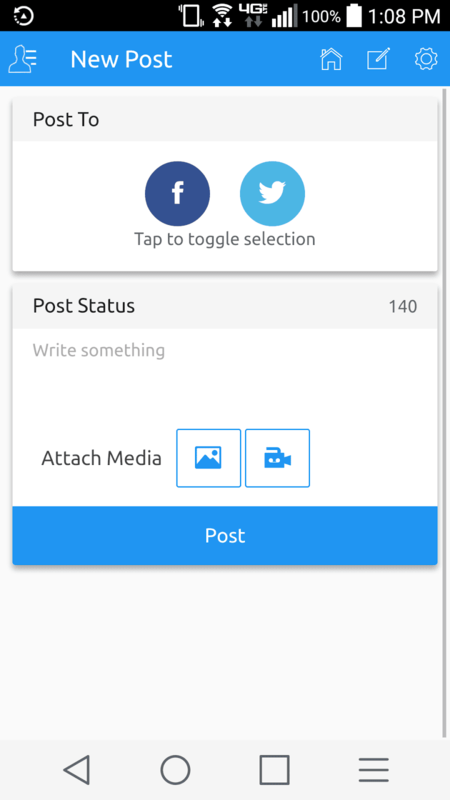 While the app currently only allows you to post on Facebook and Twitter, they are working on integrating other social media platforms as well. It’s a great app developed by Aggregr8tor, LLC and although it may seem ordinary, you should install this app without any further delay to simplifi your life with Simplifi Me. I am Samia Ishaque, a student who's still navigating her way through college. I have a passion for Mathematics and writing. In my free time, I like to write poetry. As a writer at Thetic Blog, I work to articulately convey ideas that could help others. sounds like a nice app. does it allow instagram too?